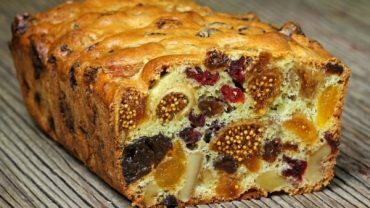 Breakfast – the most important meal of the day! Eat simple protein salad in the morning so you have enough energy and proteins for workout and work. To prepare this nutritive bomb, first you’ll need to wash up the chickpeas nicely and put them in water during the night. The next step is to boil the chickpeas for 20-30 minutes. Drain the water from the chickpeas and store it in refrigerator in a container with a lid. The prepared chickpeas can be used for couple of days so you can make more for other meals or for the same salad for the next day because it is worth it! The chickpeas are a great source for protein! 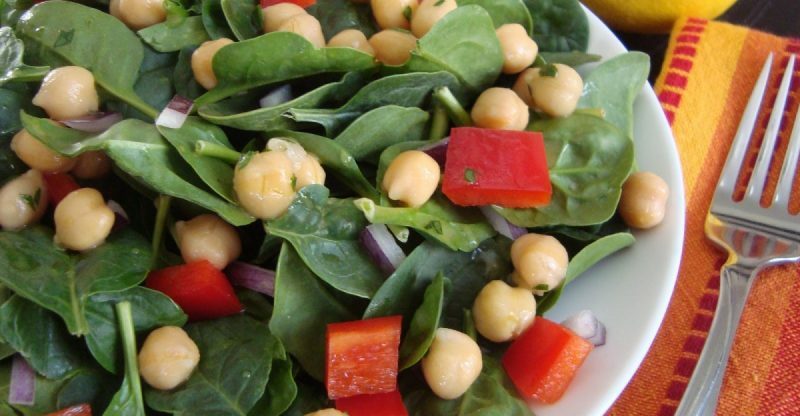 To finish up this salad you will need to clean all the ingredients nicely, chop and put the lettuce and spinach in a nice salad dish, and add the cherries and chickpeas in the dish. After that, add vinegar and himalayan salt and finish up with olive oil and black and sesame seeds. Be careful this salad is a true nutritive bomb, with a lot of protein and you will need to spend that energy. For that I prefer my 25 minute morning exercising for burning up fat and and making my belly look nice 🙂 wish you the best, here is the link of the exercise!